This BEST Asian Slaw Recipe has become a staple in our house. Everyone from my two year old all the way to Grandparents beg for this delicious, healthy, and yummy salad recipe. 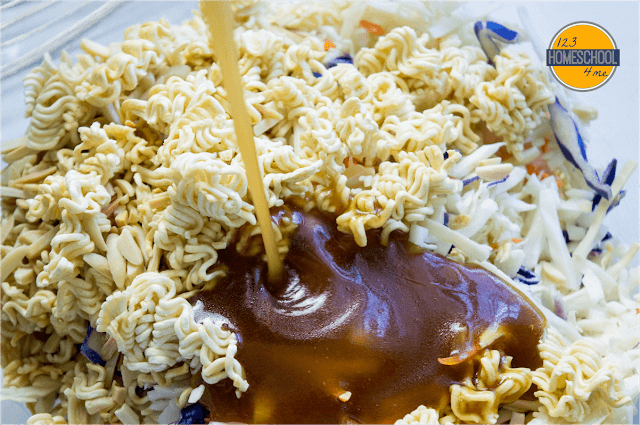 Break apart noodles from Oriental Raman Noodle packet and toss with package or slivered almonds. Toast noodles and almonds at 350 for 7-10 minutes. 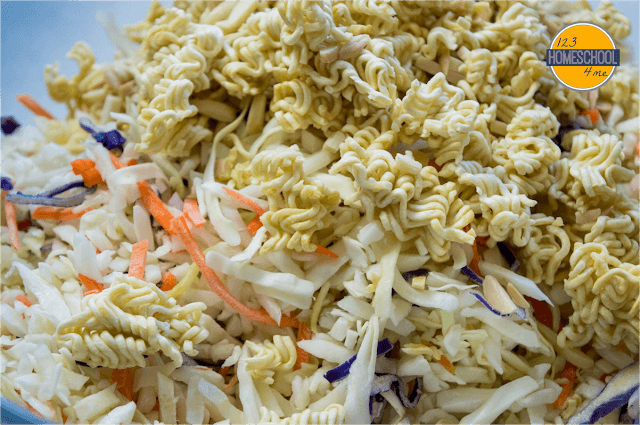 Mix together slaw salad mix and toasted noodles/almonds. Mix together oil, soy sauce, sugar, white vinegar, and oriental seasoning pack. Pour salad dressing onto Asian Slaw salad. 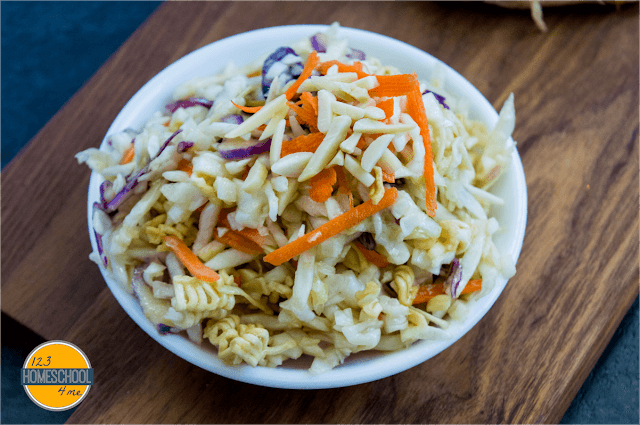 You are going to love this easy to make, delicious Asian Slaw recipe. 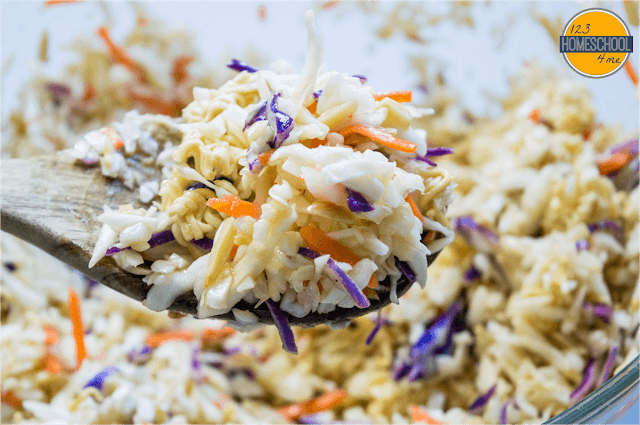 This Oriental Coleslaw Recipe is a family favorite that kids and adults alike will LOVE! Serve it with burgers, BBQ chicken sandwiches, ribs, hot dogs, chicken, and so much more. 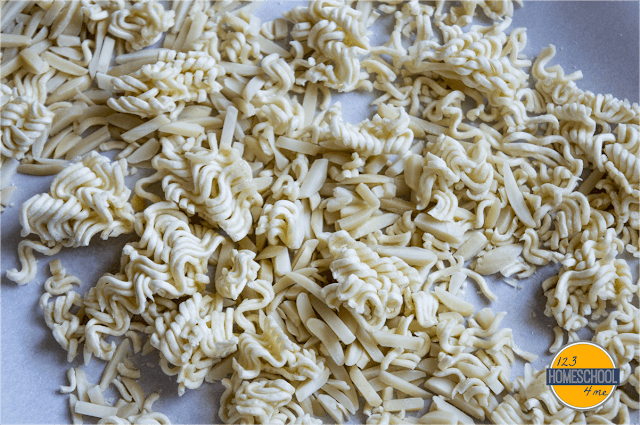 Break apart Ramen Noodles and toss with slivered almonds on a cookie sheet. Toast by cooking at 350 F for 7-10 minutes. Mix together the dressing by mixing oil, soy sauce, sugar, white vinegar, and oriental seasoning packet. Keep dressing off salad until you are ready to serve. 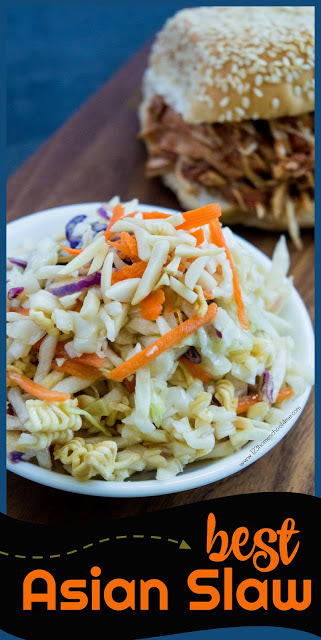 Toss together coleslaw, toasted noodles, and sauce.